Small molecules continue to dominate the global therapeutics market, many molecules going off-patent is paving way for introduction of generics creating a favorable opportunity for the Pharmaceutical contract manufacturers. Cell lines are one of the major tools in pharmaceutical research and have wide range of applications in gene function studies, drug discovery assays, the production of biotherapeutics and diagnostics. This report covers all segments, global trends and emerging strategies of the outsourcing market related to drug discovery, preclinical development, clinical phases and commercial manufacturing of biologics. 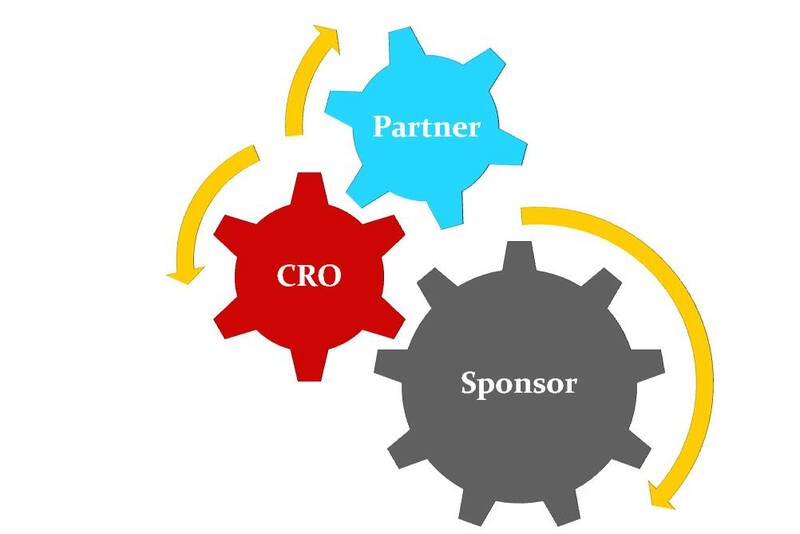 Many large and small pharmaceutical companies are turning to outsourcing the drug manufacture process to reduce capital investments on capacities and focus more on their core competencies. The report covers all the drugs that are in various phases of development (Discovery, Preclinical and Clinical). Contrast agents/Media are substances that improve the visibility of specific organs, tissues or blood vessels and help in diagnostic imaging and interventional procedures using medical imaging tools. The increase in diagnostic imaging procedures and interventional imaging procedures are driving the market growth. Nuclear medicine is a highly multi-disciplined specialty sector where sophisticated instruments and radiopharmaceuticals are used. Advancements in radioactive tracers are enabling study of metabolic activities in different area of body. Toxicology is study of adverse effects of chemicals and other biological substances on living organisms, especially in industries such as agrochemical, pharmaceutical, medical devices, cosmetics and others. HPAPI's have very low OEL of ≤ 10µg/m3 ,are highly selective and effective even in very small doses. 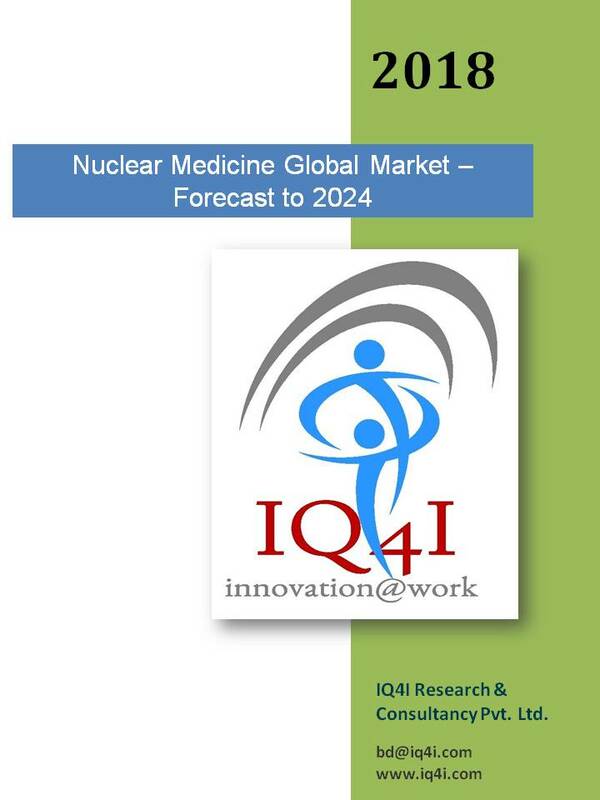 The market is growing due to high demand from oncology applications. IQ4I Research & Consultancy published a new report on - Drug Discovery Outsourcing (DDO) Global Market - Forecast To 2025 analyzes and studies the major competition, market drivers & Opportunities, Restraints & Threats in North America, Europe, Asia-Pacific and Rest of the World, spread through 203 slide. Excipients are inactive substances helping modulate solubility, bio-availability and stability of active substances in a drug and form the major part of any medicinal product. 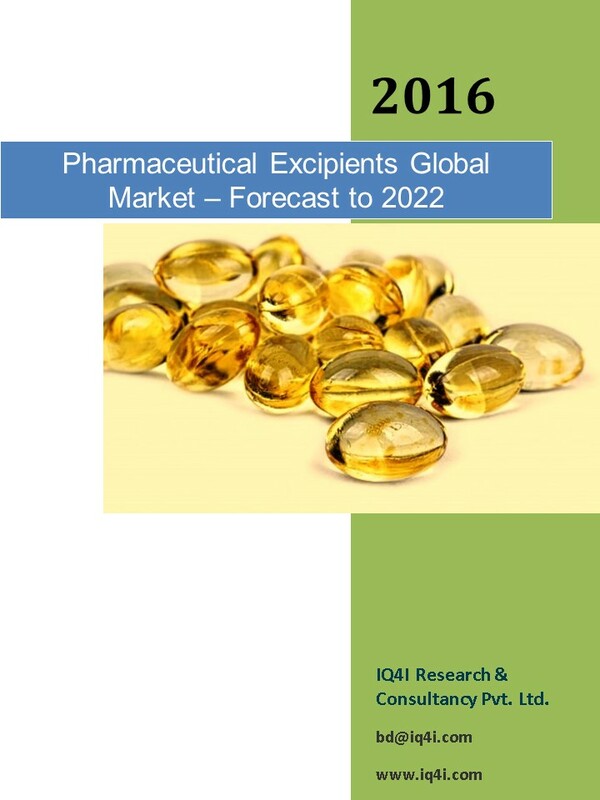 Active Pharmaceutical Ingredients (API) Global Market estimated to be worth $258.5 billion by 2022. 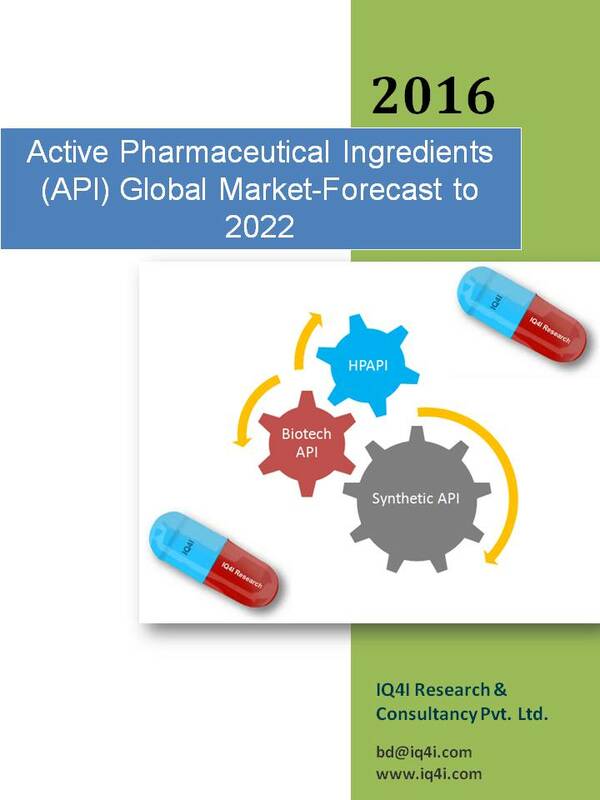 API market is segmented by synthesis including synthetic chemicals, HPAPI and biotech API.